An independent police watchdog group, the Providence External Review Authority, has been mostly dormant since it was created in 2002. But efforts to inject fresh life into PERA have intensified over the last year. This week, the external review authority selected a former public defender, Providence lawyer José Batista, as its new executive director. He faces City Council confirmation before he can start work in the new post. Batista was in high school when PERA was created 17 years ago, back when a series of problems beleaguered the Providence Police Department. The department has been in better shape for years, and Batista said that increases the chance for PERA to make a positive impact. While police tend to be wary of civilian oversight groups, Batista said Providence Police Chief Hugh Clements has been supportive of the Providence External Review Authority. 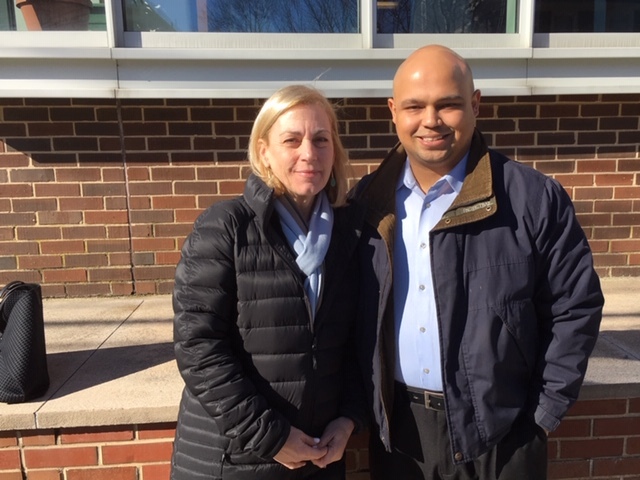 Alison Eichler, chair of the Providence External Review Authority, and Jose Batista say PERA is part of a growing trend toward increased civilian oversight of police departments.